Feeding, Habitat, Anatomy, Reproduction, Evolution, Predators, Distribution, Social Structure and more information about of Sea Turtles. There are 7 living species of Sea Turtles left in the world. Green, Hawksbill, Leatherback, Flatback, Loggerhead, Kemp Ridley and Olive Ridley. There are big efforts devoted to sea turtle conservation, but we all can contribute keeping the oceans without garbage and plastics. There are seven species of sea turtles in the world distributed in the tropical regions of the ocean; six of them are in danger of extinction. These reptiles have in their DNA more than 200 million years of history and evolution, and that is just one of the reasons why they are so essential to the biodiversity and the life on the planet. They belong to the class of “Reptilia” and the order “Testudines,” which divides into two families, “Cheloniidae,” which groups six species and “Dermochelyidae,” that has only one species. Sea turtles have exceptional characteristics and abilities that no other marine organism has. Thanks to the shell that covers most of their body, predators do not choose them as a common prey. The size of some species as the leatherback sea turtle reaches between six and nine feet long and a great thickness which is also a reason that deters many marine enemies. For example, the largest specimen found of this species had three meters long. Additionally, this is the only sea turtle that does not has a hard shell. Instead, it has bony plates under a soft leathery tissue. Unlike birds, mammals and prehistoric reptiles whose skins have feathers or hair, sea turtles have a sort of scales that give them a unique skin texture. They do not usually form groups to carry out their activities but remain solitary for most of their life cycle. They only interact in stages of reproduction or when the food in some zone is abundant, and several coincide simultaneously to feed. Their distribution includes all the major seas and oceans around the world, except the waters of the Arctic and Antarctic, as they are cold-blooded animals, they need the heat to survive. According to the location, their natural habitat varies but usually includes coral reefs, sea grasses, rocky areas or large concentrations of algae. Adult sea turtles enter the open sea, while the young stay in safer areas near the coasts, where there are fewer predators than in deep waters. There are two families of sea turtles. The Cheloniidae which has six of the seven extant species and the Dermochelyidae which has only one species. 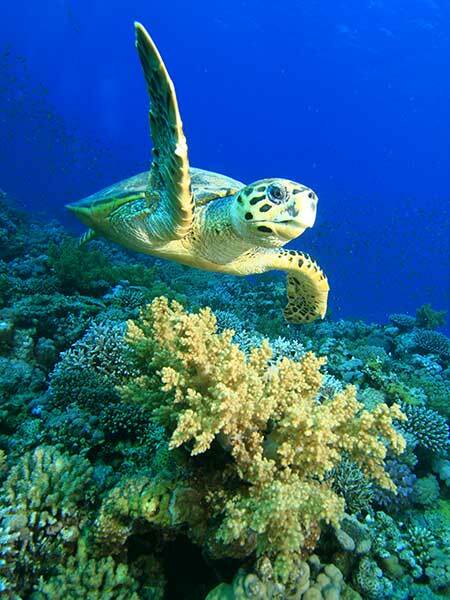 Sea turtles are herbivorous, carnivorous or omnivorous depending on the species and the age. Jellyfish, crabs, fish, sea cucumbers and sponges are just a few examples of their varied diet. They have powerful jaws that make them capable of crushing animals with hard shells such as snails, as well as pulling out the grass rooted in the ocean floor. There are some misbeliefs about the sea turtles that worth clarify. These aquatic chelonians do not cry for sadness, or because they are dying, they excrete the excess salt through a gland in their eyes. Sea turtles do not introduce their head or limbs into the shell, and they cannot walk smoothly on land or sand as land turtles do. Additionally, they cannot turn their heads to see backward as some cartoons, and films sometimes show. The eggs of sea turtles do not have aphrodisiac properties, and their consumption put the species at significant risk. Therefore, it is important to find out about them in scientific papers and reliable sources online to avoid this kind of misconceptions. Humans have disrupted the life of sea turtles in different ways. Our lack of responsibility and excessive exploitation has left them on the brink of extinction regardless the struggle of environmental organizations to rescue and preserve them. Several factors threaten all sea turtle species, and most are related to the interference of man, but others are inherent to their anatomy. Something that shocks scientists is the fact that they reach sexual maturity up to 30 years of age in average, being this a worrisome factor to achieve a regular conservation status. The solution to this problem has to be prompt, otherwise, in a few decades, sea turtles will not be part of the extant animal kingdom. 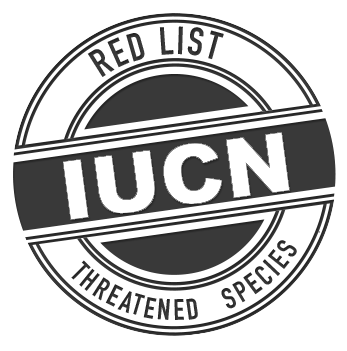 Internationally they are protected, and their trade is illegal. However, thousands of people still live on the sale of eggs, meat and their shells.